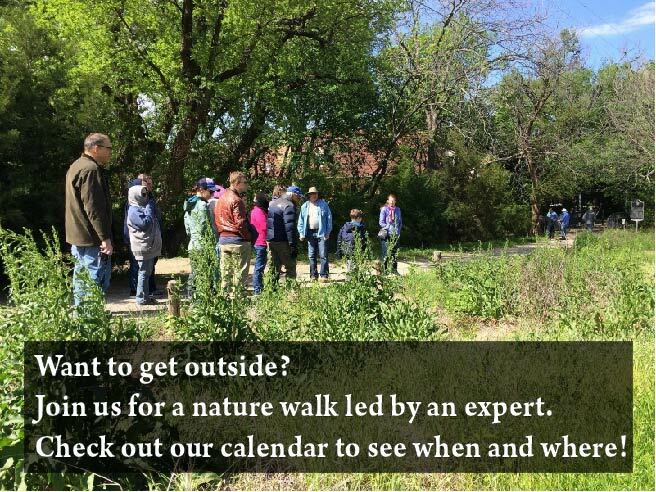 The Texas Master Naturalist program is designed to develop a corp of well-informed volunteers who provide education, outreach, and service dedicated to the beneficial management of natural resources and natural areas within their communities for the State of Texas. 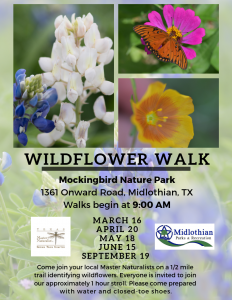 Texas Parks and Wildlife Department and Texas A&M AgriLife Extension serve as sponsors for the program. * Complete an organized training program sponsored by a Master Naturalist chapter that involves a minimum of 40 hours of instruction composed of both classroom and field experiences. * Obtain a minimum of 8 hours of approved advanced training. * Complete a minimum of 40 hours of chapter approved volunteer service. To retain certification in each subsequent year members must complete a minimum of 8 hours of advanced training and provide a minimum of 40 hours of volunteer service in approved project activities.